iSwifter, an iPad app that allows developers to stream flash games to the tablet device, is debuting Rover, an iPad browser that gives educators and students access to Flash-based educational content on the device. The startup has partnered with Discovery Education, FunBrain, Mathletics developer 3P Learning to create content for the new app. As we’ve written in the past, iSwifter allows users to browse, play and rate Flash games from gaming portals on the web, with each game optimized for iPad. The startup actually spun out of incubator YouWeb last year. With iSwifter, Flash does not run on the device at all but it is streamed to the tablet just like a Netflix movie or a YouTube video. With Rover, educators can develop and customize lesson plans that deliver both Flash and non-Flash based content on the iPad. And iSwifter says the app is compliant with schools’ firewalls, making it possible for educators to access the same Flash-based online learning content already used on classroom PCs. 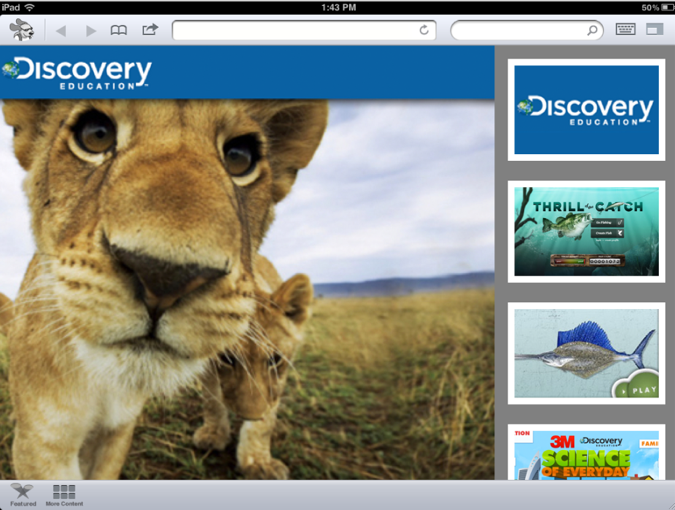 Discovery Education has begun using Rover to deliver Flash-based learning apps, lesson plans and materials that enable teachers and students to move beyond the traditional textbook.